I study patterns in large, complex data sets, and make quantitative predictions and inferences about those patterns. Problems I've worked on include classification, anomaly detection, active and semi-supervised learning, transfer learning, and density estimation. I am primarily interested in developing new algorithms and proving performance guarantees for new and existing algorithms. Applications are great for inspiring new problems and validating algorithms. Many applications also have the potential to impact society in a positive way. Here are some of the applications that have motivated my research (more recent projects listed earlier). A major challenge in modern mental health science is to quantify the neural mechanisms that 1) distinguish patients with various mental health disorders from healthy controls, and 2) characterize the effects of various psychoactive drugs. Toward this end, this project applies machine learning methodology (e.g., embedded feature selection, multi-task learning) to functional neuroimaging (fMRI) data across a variety of mental health disorders. For each mental health disorder or drug analyzed, the goal is to infer a connectome, which is a network of pairs of brain regions whose functional correlation differs for the given treatment/condition relative to baseline. A single study may involve data from several scanners, with multiple subjects per scanner, while a single subject's brain scan involves millions of voxels. Thus, scalability and scanner- and patient-induced variability are major challenges in this work. Illicit nuclear material is characterized by the energy distribution (spectrum) of emitted neutrons. 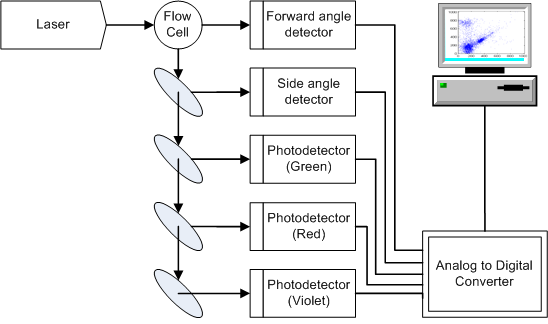 Organic scintillation detectors are an important technology for neutron detection, owing to their efficiency and cost. These detectors convert the energy deposited by nuclear particles into light, which is then converted to an electrical waveform and digitally sampled, yielding a pulse-shaped signal. 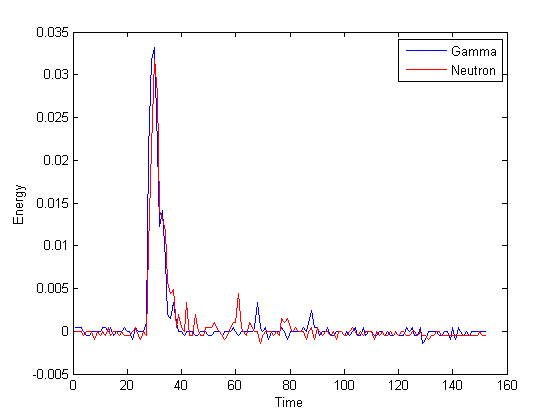 Since organic scintillation detectors are also sensitive to gamma-rays, it is necessary to classify neutron and gamma-ray pulses. To design a classifier we employ training data gathered from known gamma-ray and neutron sources. However, the application of classification methodology is unconventional in two respects. 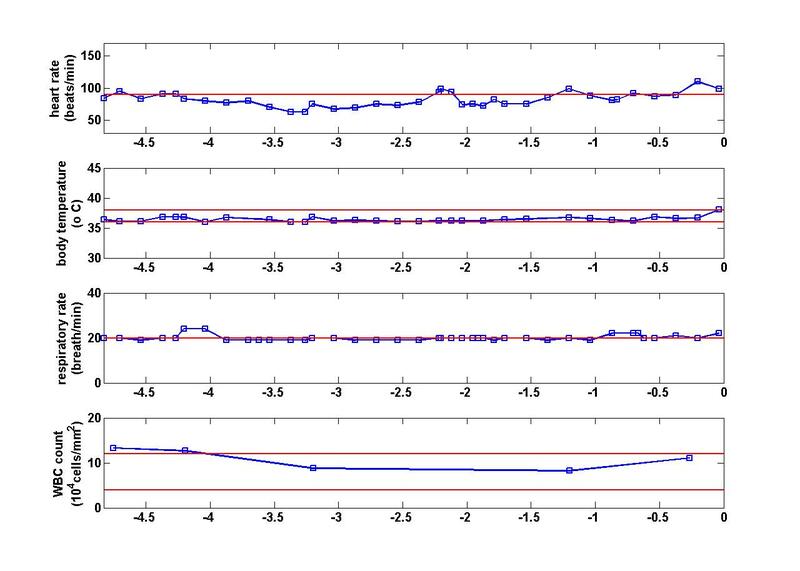 1) Pure data sets for each particle type are unavailable, owing to contamination from background radiation, and other factors; this leads to the problem of classification with label noise. 2) In field applications, measurements are likely to have different energy distributions compared with training data, owing to unknown source material and shielding; this is a new instance of a problem known in machine learning circles as domain adaptation. This project is developing new methodology and theory for these two challenges. Scalability is also a major concern for two reasons: First, training data sets may contain millions of examples, and second, trained classifiers must have efficient implementations in hardware, given nanosecond sampling rates combined with thousands of measured events per second. Collaborators: Sara Pozzi and Marek Flaska, UM Dept. of Nuclear Engineering and Radiological Sciences, and David Wentzloff, EECS. Through ground- or satellite-based measurements, various environmental variables related to carbon dioxide uptake can be measured or computed across a broad spatial and temporal range. Examples of such variables include leaf area index and carbon dioxide flux. Climate scientists have a keen interest in detecting anomalies in these spatio-temporal data sets. As with most anomaly detection problems, a major challenge is the lack of examples of known anomalies, or even examples of known non-anomalies. 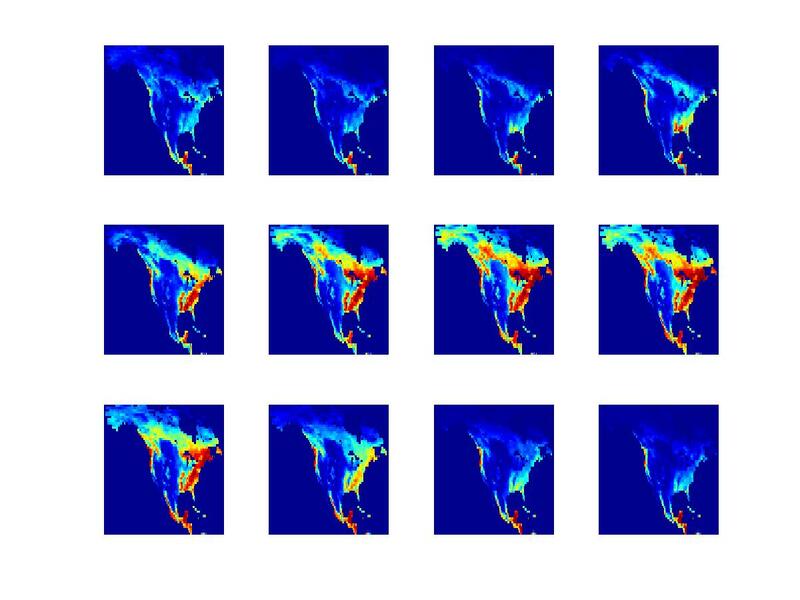 However, domain experts can provide certain qualitative descriptions of normal and anomalous trends, together with estimates of spatio-temporal covariance. Our approach has been to translate these descriptions into quantitative low-rank/sparsity assumptions, leading to tractable inference strategies with interpretable outputs. Collaborators: Long Nguyen, UM Dept. of Statistics, and Anna Michilak and Vineet Yadav, Carnegie Institution for Science. In many biomedical domains, there is a need to design classifiers that are specifically adapted to each new patient. For example, in ECG data, there is a need to label each heartbeat as normal or abnormal, while in EEG data, it is desirable to label a temporal window according to whether it precedes a seizure. In both cases, the definition of normal and abnormal will vary from patient to patient. Even if labeled examples are acquired for many training patients, this information must still be adapted to each new patient to improve classification accuracy. In ongoing work, we have developed this idea in the context of flow cytometry. Flow cytometry is a kind of high-throughput biological assay that is capable of quantifying physical and chemical properties of individual cells, and is used by pathologists to diagnose and classify a variety of blood-related disorders, including leukemias and lymphomas. A problem of interest to pathologists is to automatically classify cells according to type (lymphocyte, granulocyte, etc.). In principle, it is possible to design such classifiers by training on labeled data sets; however, because of patient-to-patient variability, there is a need to design patient-specific classifiers that adapt to the cell distribution of each patient. Patient-specific classification is a kind of problem known as transfer learning in machine learning; we have developed a general-purpose solution to this problem that is potentially applicable in a variety of application domains, such as those mentioned above. 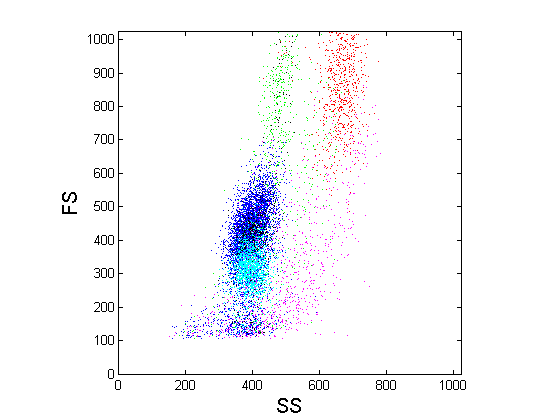 Furthermore, flow cytometry data sets may contain hundreds of thousands of cells, and therefore scalable algorithms are necessary. Image registration is the task of finding a spatial transformation that brings two images into alignment. 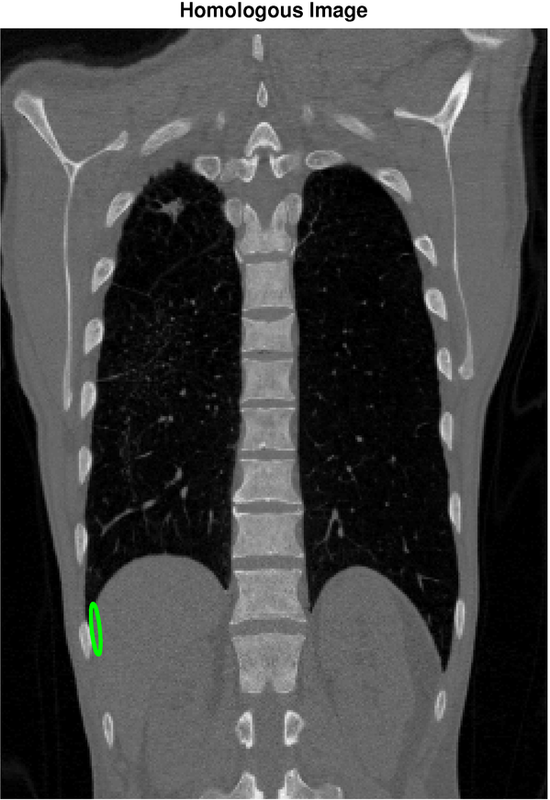 It is a critical step in medical image analysis, for example, to align images of a patient taken under different modalities such at MRI and CT. Our objective is to apply machine learning to quantify the uncertainty in image registration algorithms. The figure below shows a reference image (left) and a holomogous image (right) that has been registered to the reference image. The selected point in the reference image corresponds, with high confidence, to a point in the region shown in the homologous image. 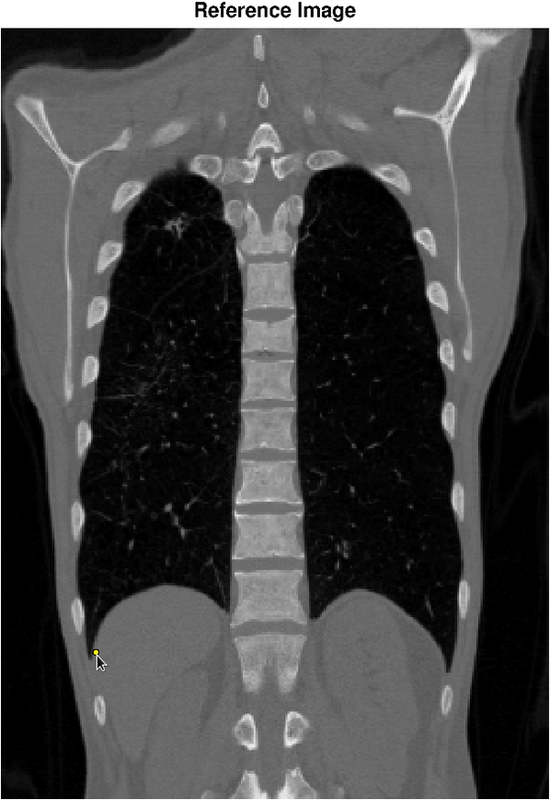 In this example, the orientation of the confidence region reflects uncertainty due to the sliding motion of the diaphragm. Collaborators: Charles Meyer, UM Dept. of Radiology, and Alfred Hero, EECS. When first responders arrive on the scene of an accident or attack involving toxic chemicals, they need to rapidly identify the chemical. One way they do this is by observing which symptoms are expressed in victims. 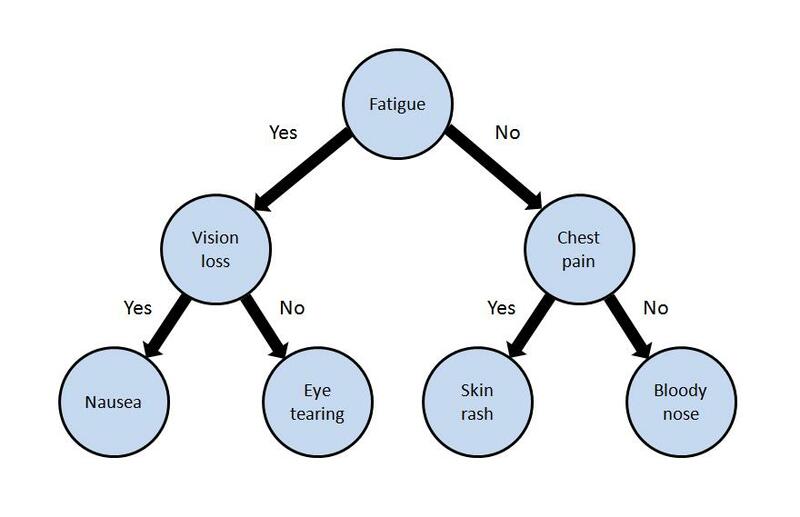 Our work centers on designing decision trees that guide first responders to test those symptoms that will most rapidly lead to chemical identification. We have developed algorithms and user interfaces that are designed to be both comprehensible to first responders, and robust to noise and uncertainty in the data and environment. We have developed new methods to predict the onset of sepsis in patients who have had major cardiac or vascular surgery. Sepsis is a whole-body infection that often affects post-surgical patients. It has a high mortality rate in this population, but chances of survival increase significantly with advanced warning. We are developing novel techniques in signal processing and pattern recognition that aim to detect subtle patterns in patients' vital signs that are predictive of sepsis. One particular challenge is that vitals signs are sampled in an irregular fashion. The figure below shows an example of four vital signs for a patient. The unit of time is hours. The horizontal lines are standard clinical thresholds which tend to produce a high number of false alarms.